It seems my animal print obsession is somewhat taking over my life. I cannot walk a foot without being struck by garish and sometimes vulgar prints…yet all of them seem to seduce me. 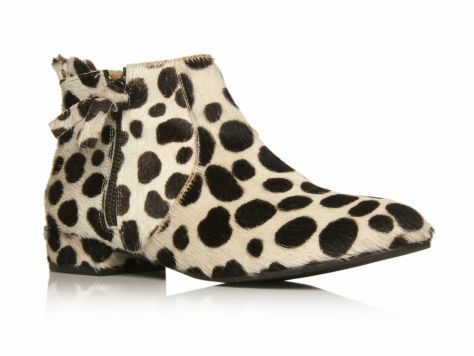 My latest cravings of the animal variety, come from two of my favourite places, Kurt Geiger and ASOS. I’ve been on the look-out for a printed faux fur coat for a few years now. I just can’t seem to find one that ticks all the boxes. It gets even worse when I actually try them on, none of them seem to fit me properly. It’s either the arm length, the bulkiness of the coat or just the way it turns me into a big square shape. It’s a little disheartening, especially when you want something so badly. From ASOS, this faux fur hooded coat is soon to be mine. I know it’s a little gimmicky with the hood, the ears and the cute pom poms, but, I love it. I also think £80 is extremely good value for a coat – especially one that will make the not-so-new boyf laugh. Priced at £195, they’re not cheap but they would be an investment item. I’m already imagining them with a cute dress and black tights, or paired with skinny jeans and a shirt. Although I appreciate they may get ruined in the rain we can always depend upon in the winter months, I still want them. Socks and Shoes: Yay or Nay? "A Little Nip n Tuck…"
that coat is quite incredible! With shoes like that, you can make a really plain outfit fierce!